IMPORTANT NOTE: The file is 3,371KB so please don't try to download it to your phone. Learn the fundamentals of inheritance. Genetics is the science of heredity - the passing on of genes and characters from one generation to another. Understanding the basic laws of heredity is key to understanding genetics, but many enthusiasts have a sketchy and sometimes rather muddled foundation. Dr. Giddings has sorted out what you really need know and presented the information in a clear and easy to understand fashion. As well as explaining how characters are passed on from parents to foals she discusses the roles of parents and the environment in determining different kinds of foal characters, such as colour, pattern, temperament, conformation and ability. She gives you a brief introduction to some of the basics of colour genetics, so that you may go on to develop your knowledge of this if it interests you. Understand what inbreeding, line breeding and out breeding really are - and what they're not. How could they affect your breeding programme? 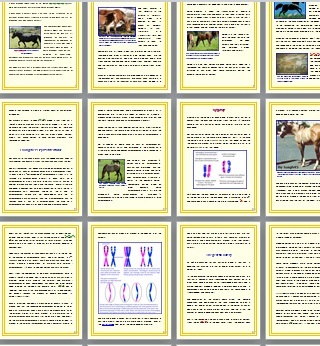 The Essentials guide gives an explanation of the “genetic lottery” and how it's affected by different types of breeding, including out breeding, inbreeding, line breeding and out breeding between inbred lines. The risks of inbreeding are discussed, along with the potential benefits and risks of line breeding. There's a discussion of what you can do to help avoid the risks of inbreeding, including using modern genetic tests to help you make informed decisions. IMPORTANT: Mobile devices (like phones and ipads) often can't download a file of 3,371KB. Please DON'T pay twice, open a Paypal dispute or panic. I can see you've paid and will send you an email with a file for you to use on your computer (but please check your junk mail folder in case). 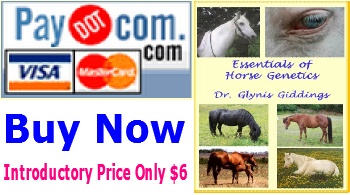 Get a thorough grounding in equine genetics relevant to horse breeding. 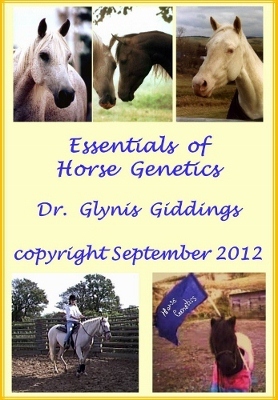 If you're interested in horse genetics then here are the essentials. These are the things you really ought to know and understand first and foremost, so you can develop your interest with confidence. 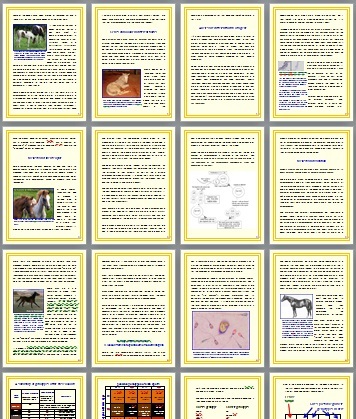 This gentle introduction to equine genetics is for horse breeders, owners and equine or vet students, to help you to get the all important foundation knowledge right. The guide is illustrated with colour photographs and diagrams. The text is supported by a glossary at the end of the guide. Dr. Giddings has many years of experience teaching genetics to many hundreds of students - from diploma to doctorate level. 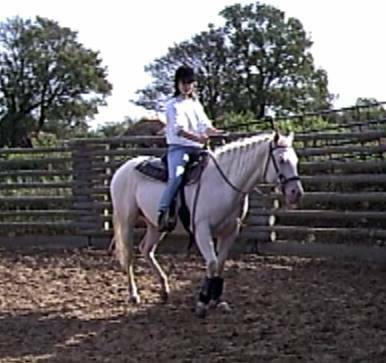 She's also co-authored a student text book on genetics and written horse genetics articles for national horse magazines in the UK. "Dr. Glynis Giddings writes well and is an experienced university-level educator." Avoid the most common mistakes that lead novice geneticists to muddle up their genetic predictions, for example about foal colours. Many self-taught enthusiasts and novice geneticists make the same mistakes in their understanding of genetics. These errors cause misunderstandings about genetic predictions, the nature of selection, genetic dominance and zygosity, among other things. The internet and on-line chat forums indicate that many enthusiasts get confused, and sometimes give out wrong information to others. Some breed societies too have long been beset by wrangles that involve misapprehensions over horse genetics. If everyone involved had some basic set of knowledge and understanding then many arguments, and a few tragedies, could be avoided! 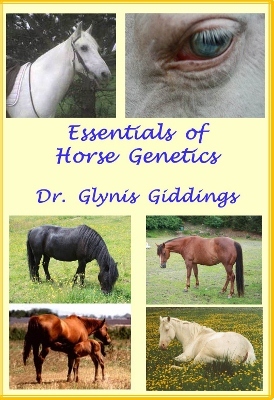 Dr. Giddings has more than 27 years experience of genetics research and teaching, including in equine genetics. 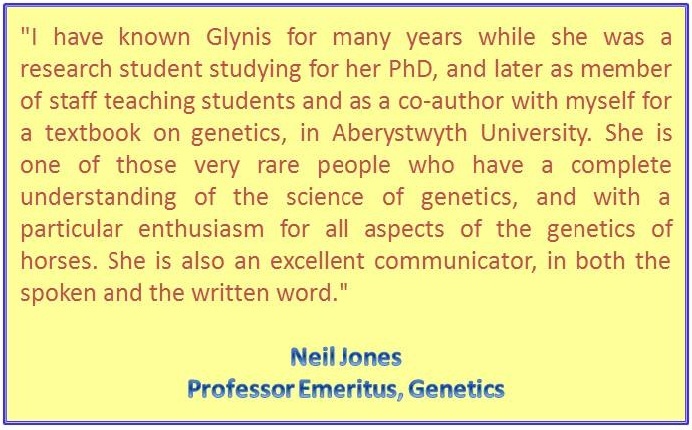 She has taught and examined thousands of students from diploma to doctorate level, and is the co-author of the 'Essentials of Genetics' textbook. 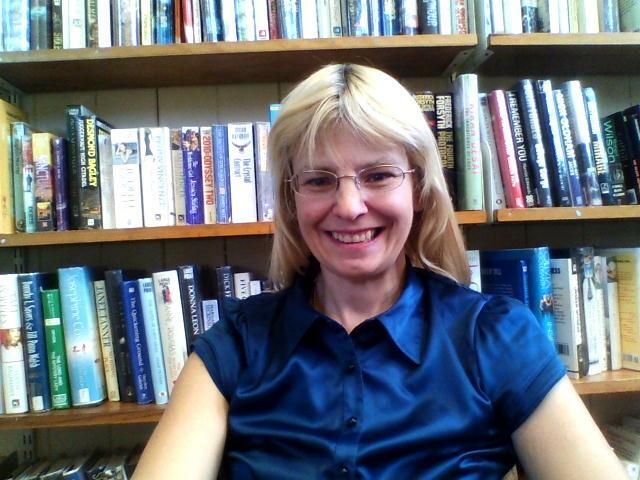 She has many scientific publications and has also published popular science and magazine articles, including several on the subject of horse genetics.